We all know that the Island of Maui is the most beautiful island in the world! On an island as stunning and magical as Maui, it’s not a wonder why the island has so many amazing farms and locally grown foods. Maui’s ‘aina (land) is abundant in life giving foods, so definitely try to explore the Maui farm tours that are spread across the four corners of the island. 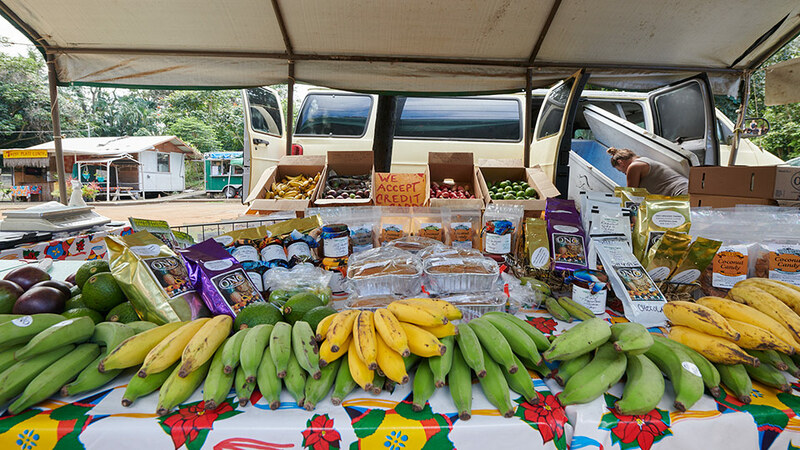 When in Hana, taste some delicious organic fruits and Arabica coffee at Ono Organic Farms. Or take your children to the Maui Dragon Fruit Farm in Lahaina for a farm tour, zip-lining and aqua ball riding! If you’re looking for a more romantic Maui farm tour to do while on a Maui honeymoon vacation, check out O’o Farms in Kula for a lovely farm-to-table dining experience. Traveling with a Chef de Cuisine? Impress your buddy with a Grand Dairy Tour at Maui’s famous Surfing Goat Dairy. Throughout the Island of Maui there are many different farms, some are organic and GMO free, and some are not. With our valuable local knowledge we have chosen the best places to go for farm tours on Maui. Enjoy reading through our Top 10 Maui Plantation and Farm Tours article below, Maui is truly No Ka Oi (the best)! If you’re planning a trip to Maui, you must take some time out to visit at least one of Maui’s plantation and farm tours. Whether you are a resident or just visiting Maui, a personalized guided tour of Leilani Farm Sanctuary is an experience that you will not soon forget. This all-volunteer non-profit is a sanctuary for rescue animals. It’s located on almost eight lovely acres of Maui’s tropical land, with hundreds of trees lining rolling green pastures. Here, you and your family will love exploring nature and meet some very friendly animals including rescued donkeys, sheep, goats, pigs, deer, cats, geese, rabbits, tortoises, ducks, and a happy cow. Leilani Farm Sanctuary was named after the farm’s first rescue animal, a donkey named Leilani. This animal haven was created by Laurelee Blanchard. Her vision to provide care and shelter for animals who have suffered from abuse and/or rescued animals is realized in this amazing animal sanctuary. She also aims to offer humane education to the community. The sanctuary provides educational programs for school groups and special needs visitors, as well as offering tours to the public. Blanchard recently released a book, “Finding Paradise: Leilani Farm Sanctuary of Maui.” The book tells the story of her life and how she eventually abandoned her pursuit of money to begin a new adventure, saving abused and abandoned animals on Maui. Her book also takes readers through a sightseeing tour of her life running a sanctuary for rescued animals. With beautiful photos that truly depict what one sees when they step foot on the grounds of Leilani Farm Sanctuary. We highly recommend a tour of this amazing spot. You and your family will enjoy the overwhelming sense of peace and love for mother nature and all her creatures. Founded in Y2K (2000) by two surfing buddies, O’o Farms is a beautifully cultivated, biodynamic and organic 8-acre farm on Maui. Not only do the folks at O’o Farms offer awesome farm tours for the public, but they also supply locally grown organic produce, herbs, coffee, and flowers for a handful of Maui’s most popular grocery stores, markets, and fine dining establishments. Over 15 years ago, O’o Farms started with an empty piece of Upcountry land with sparse citrus, stone fruit and coffee trees. Today, O’o Farms is recognized nationally for its outstanding levels of greatness in a product as well as its commitment to organic farming and delivering real ‘farm to table’ produce to Hawaii restaurants. The O’o Farms that was once a barren land is now home to mature coffee and fruit trees, rows of garden vegetables and lettuce varieties, and greenhouses abundant with Maui tomatoes, herbs and flowers. Two of O’o Farms most popular farm tours are the Gourmet Lunch & Farm Tour, and the ‘Seed to Cup’ Coffee Tour. Guests will enjoy the panoramic island views from this sweet locale, and make sure to ask about their wine dinners too! O’o Farms is recognized nationally for its outstanding levels of greatness in product as well as its commitment to organic farming and delivering real ‘farm to table’ produce to Hawaii restaurants. Check out their two farm tours: Gourmet Lunch & Farm Tour, ‘Seed to Cup’ Coffee Tour. For more information about O’o Farms, please visit oofarm.com or call 808.667.4341. If you’ve ever wondered how Maui pineapples are grown, then you should definitely take a Maui Pineapple Tour at Hali’imaile Distilling Company. It’s the only pineapple tour on Maui, and one of the most interesting agriculture tours in Hawaii. Hali’imaile’s pineapple tour is a great Maui activity to do with the whole family—kids will love tasting fresh pineapple slices and learning that pineapples do not grow on trees! The tour also is very educational, and all guests will have a chance to learn more about pineapple’s history on Maui, growing seasons and cycles, and the way that pineapple is cultivated in Upcountry Maui. The tour begins with a walk around the property, then a chance to see how they are harvested, packed and finally shipped. Besides a chance to taste Maui’s sweet pineapples, all tour guests will be gifted with a pineapple of their very own at the end of the tour. The only pineapple tour in Maui and the only tour of a working pineapple plantation in the United States! Learn about Maui’s pineapple growing history, cycles, and cultivation techniques. Each guest gets a gift of a pineapple to take home! For more information about Maui Pineapple Tours, please visit mauipineappletours.com or call 808.665.5491. Ono Farms was established over 42 years ago by the Boerner Family. Now, four generations later, the Boerner family still owns and manages every aspect of Ono Organic Farms in Hana, Maui. late and their Arabica coffee. More products made on Maui by Ono Farms are Jams and Jellies, Fruit Butters, Marmalade, Rubs & Spices, Organic Coffee and a selection of amazing Foaming Body Butters like the Lavender-Rosemary and Hawaiian Sea Salt, and the Coconut Cream Pie. When you plan your next trip to Hana, make sure to organize an ‘Exotic Tropical Fruit, Coffee, and Chocolate Tasting Adventure Tour’ at Ono Organic Farms. Here, guests of all ages will have a rare chance to tour a working Maui farm, taste samples of the most delicious organic fruits, sip on Ono’s famous Arabica coffee and taste their ono chocolate. Ono Organic Farms offers a tour open to the public on Tuesday only with a cost of $45. They are available to book private tours Monday, Wednesday, Thursday, and Friday at a higher rate. Ono Farms started 42 year ago by the Boerner family and still continues today, four generations later in Hana, Maui. One of the finest displays of organic farming and sustainable off-grid production. You may recognize Ono Farms products such as their chocolates, Arabica coffee, Jams and Jellies, Fruit Butters, Marmalade, Rubs & Spices, Organic Coffee and a selection of amazing Foaming Body Butters like the Lavender-Rosemary and Hawaiian Sea Salt, and the Coconut Cream Pie. When you plan your next trip to Hana, make sure to organize an ‘Exotic Tropical Fruit, Coffee and Chocolate Tasting Adventure Tour’ at Ono Organic Farms. For more information about Ono Organic Farms, please visit onofarms.com or call 808.248.7779. 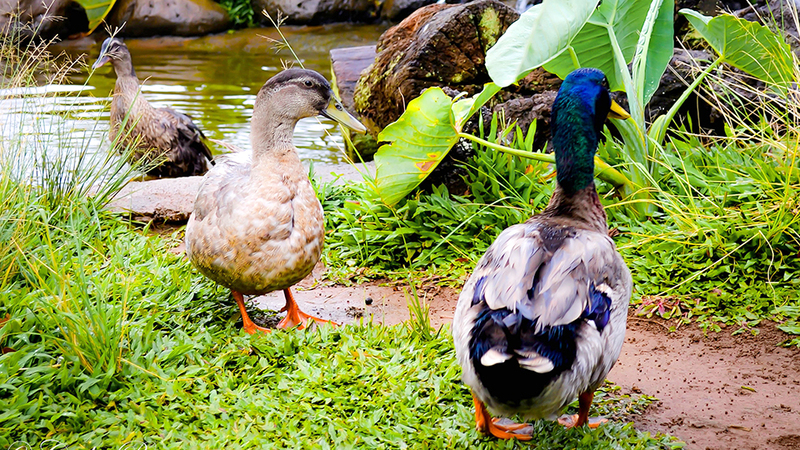 Whether you are a Maui visitor or a resident, the Maui Animal Farm is an amazing place to take your little kids. The Maui Animal Farm property consists of a vacation home rental and a petting zoo. Of course, the 3-bedroom vacation rental on the property is not open to the public, but the petting zoo is! There are seven main stages at the Petting Zoo. At the Miniature Horse & Donkey stage, guests can pet and feed the miniature horses and donkey. At the Ram and Sheep stage, visitors will learn why the sheep have horns, have a chance to feed the ram and see how he sheds his coat in the tropical climate. At the Goat stage, guests will learn the difference between sheep and goats while feeding them. The Pond stage is immense fun for the little ones with a treasure egg hunt around the pond, a chance to catch tadpoles in the Tilapia pond and some time to watch the ducks and maybe find some baby ducklings. At the Chicken Coop stage, guests can learn more about chicken varieties, their different egg sizes, and colors. Last but not least, the Piggy Stage is one of everyone’s favorites because you can pet and feed the Kunekune Hawaiian miniature pig! Different stages of petting zoo. Miniature Horse & Donkey, Ram and Sheep, Goat, Pond, Chicken Coop, and Piggy stages. Can be visited with reservation only. 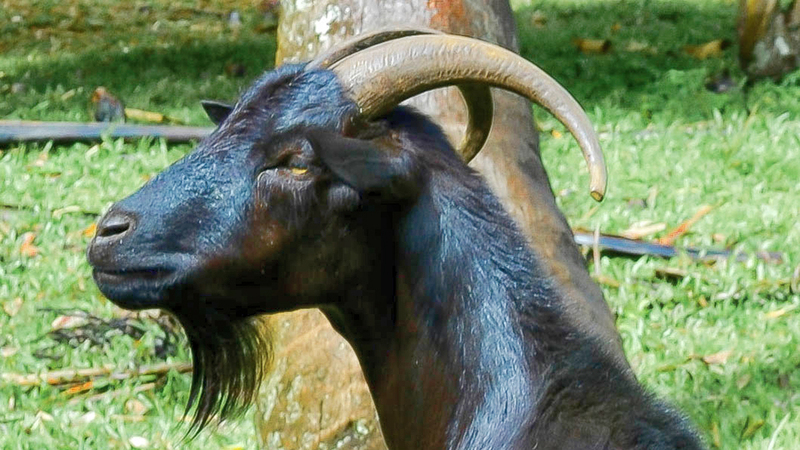 For more information about the Maui Animal Farm, please visit https://www.mauianimalfarm.com/private-petting-zoo-tour/ or call 808.280.2597. Evonuk Farms was founded in 1975 by husband and wife duo, Joan and Edward Evonuk. What was once just 4 acres of herb growing land in Lower Kula is now 4 acres plus 25 additional neighboring acres of leased land. Evonuk Farms is well known on Maui for growing high-quality herbs, gourmet beans and lettuces for Hawaii’s families and finest restaurants. Fresh herbs grown at Evonuk Farms includes Arugula and Basil varieties, Chervil, Chives, Cilantro, Dill, Fennel Leaves & Bulbs, Lemon Grass, Mint, Marjoram, Oregano, Parsley varieties, Tarragon, Thyme, and more specialty herbs. Evonuk lettuces include Green and Red Leaf lettuces, Romaine and more seasonal varieties. Their list of fresh produce varies by season, and they are well known for their French Beans, Yellow Wax Beans, Black Beauty Eggplant, Purple Rain Eggplant, Radish and Beets. You will find Evonuk Farms listed as a vendor for a wide range of well-known restaurants on Maui including Flatbread Company in Paia, Market Fresh Bistro in Makawao, Ka’ana Kitchen at the Andaz Resort in Wailea, the luxurious Humuhumunukunukuapua’a at the Grand Wailea Resort and more. Guided tours of Evonuk Farms in Maui are available to the public. They are by appointment only and cost $50 for a party of 1-5, and $10 extra per person over a group of 5. What started as a 4 acre herb growing land is today a 29 acre land. List of herbs they grow: Arugula and Basil varieties, Chervil, Chives, Cilantro, Dill, Fennel Leaves & Bulbs, Lemon Grass, Mint, Marjoram, Oregano, Parsley varieties, Tarragon, Thyme and more specialty herbs and other produce. Evonuk Farms are a vendor for many well known restaurants in Maui. Tours are available with appointment only. Ka’anapali Estate, once part of the Pioneer Mill sugar plantation, is a 500-acre coffee estate located 4 miles north of historic Lahaina Town in West Maui. Established in 2003, The MauiGrown Coffee Estate grows a large variety of Arabica coffees that are sure to please all types of coffee lovers taste buds. 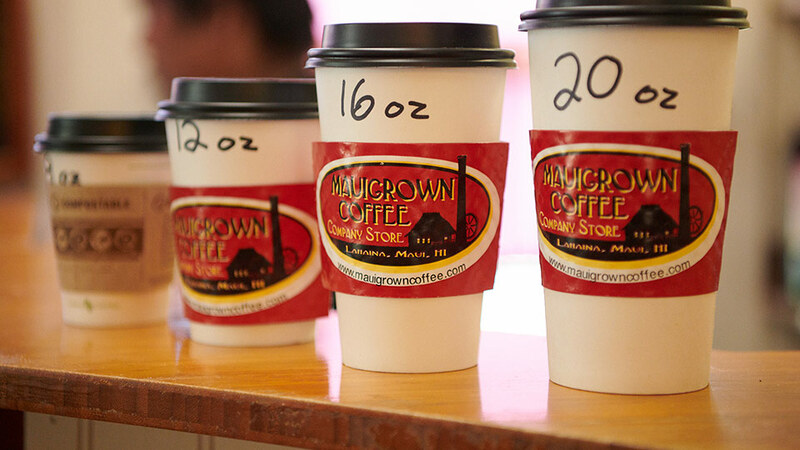 Although they no longer offer tours, you can visit the MauiGrown Coffee Company Store tasting room to sample several different kinds of coffee. One of the house favorites is the “Lava Flow” beans, surprisingly nutty and delicious! Try one of their specialty drinks. We like the white chocolate mocha and the Maui Latte. Both are perfectly made with just the right amount of sweetness. The friendly and knowledgeable staff members are always happy to educate visitors who want to learn more about the local growing and roasting process. For those who enjoy roasting their own coffee at home, Maui Grown Coffee Company features both roasted and green coffee. They also offer a variety of coffees from other parts of Maui as well as Kona coffee. This is a great place to enjoy a fabulous coffee drink on the patio with a spectacular view of the West Maui Mountains. This delicious coffee also pairs nicely with the fresh malasadas and banana bread you can find in their bakery. Remember to pick up some MauiGrown coffee beans to take back home with you or have them shipped! For more information, please visit Maui Grown Coffee. Nestled on the slopes of Mt. Haleakala lies the fabulous Ali’i Kula Lavender Farm. Founded by agricultural artist and Horticultural Master Ali’i Chang, this farm has become a cultural landmark for Maui residents and visitors. At an elevation of 4,000 feet, the Kula Lavender Farm on Maui is home to over 45 varieties of lavender and approximately 55,000 lavender plants. A true sense of ‘aloha’ can most definitely be experienced from the Ali’i Kula Lavender Farm. Guests can easily check out their ‘Daily Guided Walking Tours’ to learn more about lavender cultivation, the many lavender species and Kula’s interesting micro-climate. The staff, gardeners and groundskeepers are extremely knowledgeable of sustainable horticulture and all lavender species. Your sense will be on a calm overload as you breathe in the peace, beauty and tranquility of this awesome Maui farm. Spend an afternoon visiting the Ali’i Kula Lavender Farm and stroll through the elaborate gardens while enjoying a sweet conversation with your friends at one of the hidden rest areas. The view faces towards the South Maui coastline, which allows breathtaking water-colored scenes of the Pacific Ocean stretching all the way to the West Maui Mountain Range. Make sure to check out the onsite Lavender boutique where you can find an abundance of locally made Lavender-infused goods. Each product has been developed by the Ali’i Kula Lavender Farm integrating sustainability, innovation and a love for the Island of Maui. The view from this farm is truly unreal — one that you will look forward to visiting more than once! Cultural landmark for Maui residents and visitors, founded by agricultural artist and Horticultural Master Ali’i Chang. Kula Lavender Farm carries over 45 varieties of lavender and approximately 55,000 lavender plants. Be sure to visit Lavender boutique and cafe with variety of lavender goodies. For more information about the Ali’i Kula Lavender Farm, please visit: aliikulalavenderfarm.com or call 808.878.3004. Located just 5 minutes from the Historic Lahaina Town is the Maui Dragon Fruit Farm. The Maui Dragon Fruit Farm is a USDA certified organic farm that grows the elusively delicious Maui Dragon Fruit, and more tropical crops of Banana, Avocado, Papaya, Pineapple, Sugarcane, Baby Greens, tropical flowers and more. The Maui Dragon Fruit Farm is one of the few Maui farms that offer tours and adventures! Here guests can taste delicious organically grown Maui foods, learn about organic farming and sustainability, and experience adventure tours under the guidance of knowledgeable staff full of aloha. The adventure tours are great for families with kids (5 years and up) — you can choose a zip-line tour or aqua ball riding. Guided Farm Tours are a great way to experience this West Maui farm. The tour begins with a story about how the farm started, the health and nutritional values of the Dragon Fruit, history and information about Maui’s biggest crops and the chance to stroll through everyday farm operations. Guided Farm Tours at the Maui Dragon Fruit Farm are daily between 1-2pm. Adults and children 5-12 years old are $14.95 and children under five years old are free. One of the few Maui farms that offer tours and adventures! Learn about organic farming and sustainability, and experience adventure tours, great for families with kids (5 years and up) — you can choose a zip-line tour or aqua ball riding. FYI Dragron Fruit season is between June to December, so we recommend visiting during summer and fall. For more information about the Maui Dragon Fruit Farm, please visit mauidragonfruit.com or call 808.264.6127. Located in Lower Kula, Surfing Goat Dairy is Maui’s only gourmet cheese farm. For over 9 years, Surfing Goat has been pushing the bar for its award winning Goat milk cheeses, gourmet Goat cheese truffles, Goats Milk soaps and family-friendly Maui agricultural farm tours. All kids love this Maui farm because they get to taste yummy treats and have a chance to feed the goats! Surfing Goat Dairy offers a Casual Tour, Evening Chores & Milking Tour, the Grand Dairy Tour and a host of fun monthly events. The Casual Tour takes place every day between 10am-3:30pm and reservations are not required. The cost is $8 for kids and $12 for adults. The Evening Chores & Milking Tour takes place Monday through Saturday at 3:15pm and reservations are recommended. The cost is $14 for kids and $17 for adults. The most detailed tour available at the Surfing Goat Dairy is the Grand Dairy Tour. 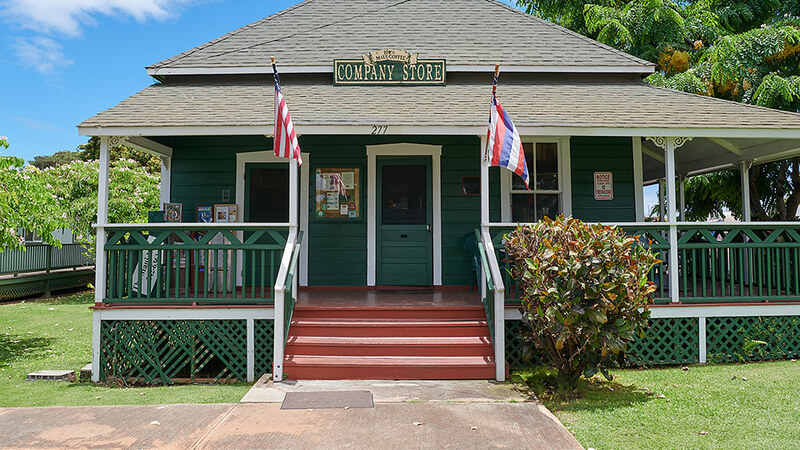 The specialty shop at the Surfing Goat Dairy is a great place to pick up a selection of Maui gifts and souvenirs. Peruse over 30 types of Maui made cheeses, 18 of which are National Award Winners. All the kids love this place, as they get to feed and touch the goats. Known for their award winning Goat milk cheeses, gourmet Goat cheese truffles, Goats Milk soaps and family-friendly Maui agricultural farm tours. Surfing Goat Dairy offers a Casual Tour, Evening Chores & Milking Tour, the Grand Dairy Tour and a host of fun monthly events. For more information about the Surfing Goat Dairy, please visit surfinggoatdairy.com or call 808.878.2870. Are you a foodie? Do you love chocolate? If you answered yes, Maui Chocolate Tasting is the perfect place to visit while vacationing on Maui! Here, guests will learn more about how chocolate is made as well as how cacao is grown on the island. Maui Chocolate Tasting is a unique and rare experience. Space is limited, so we recommend that you book your reservation ahead of time. New owner and Master Chocolatier, Virginia Douglas, really knows her chocolate! Douglas is famous for her ability to showcase the beauty of the islands bright flavors in an exquisite blend of taste and color. She is an expert at fusing amazing chocolate with fresh locally sourced ingredients that include flowers, nuts, spices, and fruits. Guests will truly enjoy this amazing chocolate experience. Imagine tasting delicious chocolates that have been hand-made, in small batches, by a true artisan, while learning everything there is to know about chocolate making on Maui. This is a fun and educational excursion for families with kids seven years and up. You can find Maui Chocolate Tasting’s new production kitchen in North Kihei behind the Tesoro Gas Station, on Maui’s South Shore. We promise that you will be amazed by the knowledge you gain, leaving you with a real understanding of what it really takes to make good chocolate. Be advised that the farm sits at 1900 ft elevation and will require some moderate walking up and downhill, so please plan accordingly! For more information, please visit Maui Chocolate Tour. 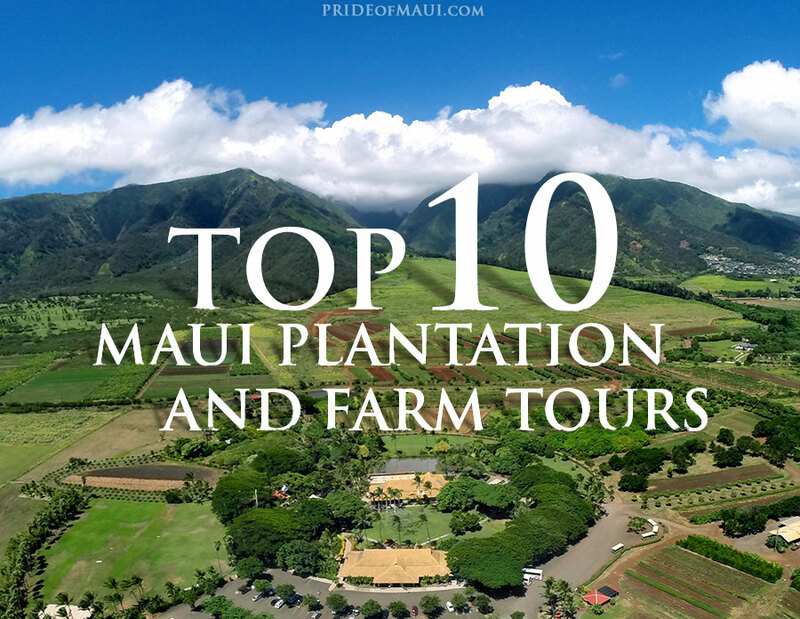 Mahalo for reading Pride of Maui’s Top 10 Maui Plantation and Farm Tours blog post! Have you ever visited a farm on Maui? Which one is your favorite? Do you know which farms are best for those traveling to Maui with kids? All photography was either taken by Pride of Maui staff, from owners that have given us written permission, and/or purchased for use. We have all the rights necessary to use these images on our website.